It was a mammoth undertaking and quite a political process. Waleed Aly spoke to jazz musician and author of the Australian Jazz Real Book, Tim Nikolsky. 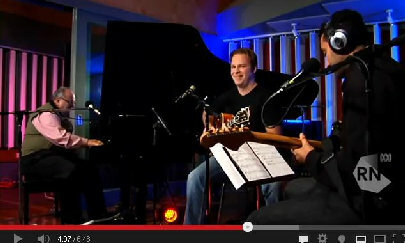 Bob Sedergreen also came in for a chat and the trio punched out a version of Bob's 'Intersection'. Many books have been written about Australian Jazz from the outside looking in, but this book is written from the inside and is a revealing and rewarding experience, from the heart and soul of an important figure in the history of Australian Jazz. Bob Sedergreen's impact and influence in performance, composition and eduation has secured his place as a national treasure. To play with Bob Sedergreen has been described as the 'ultimate armchair ride.' To hear him is always exciting and satisfying. "Reading Hear Me Talking To Ya is like sitting next to Bob on a bar stool hearing a lifetime of jazz stories..."
You can also purchase through Identity Promotions PO Box 2384, Kew 3101 $20 plus postage, or at any of Bob's gigs - or just go to your favourite bookstore and purchase it. Contact Rae Sedergreen for further information. Paul Williamson begins his set as part of a humble trio with Tim Neal on Hammond and Mike Jordan on drums. Jeff Lang strolls to the stage to add some tasteful slide guitar to ‘Spoonful’. Musicians in attendance chuckle as drummer Mike Jordan dares to ask for more sax in his monitor. The amiable Bob Sedergreen emerges to stamp his authority on the band with his understated but perfectly chosen notes. Trumpet player Ross Irwin follows, then Dave Palmer on trombone and we’re now at a seven piece big band, as they smoke up the stage like a pack of Chicago gangsters. Special guest Renee Geyer arrives to join the fun and kicks into a couple of blues jams including ‘Baby Please Don’t Go’. After incrementally building to such a big band powerhouse, it’s a nice touch that Williamson chooses to set aside time near the end for just he and Bob Sedergreen, giving the great piano man a much deserved nod of recognition. Over an eleven day period, I’d seen a lot of jazz, a lot of great jazz. I missed a lot too, such is the extent of the festival’s program. For my final fling I choose the more obscure, a jazz soiree at the Duldig Studio featuring the Janet Arndt Quartet. This gig is as intimate as it gets, seated tightly, surrounded by the studio’s current art exhibition Art Behind The Wire. Arndt and her well-travelled band run through a list of jazz vocal standards, appreciated greatly by the audience made up largely of friends to the studio. This is the other end of the jazz spectrum, those who have already lived a long, rich, jazz life. At Stonnington this year, I also saw the future of Australian jazz and I have to say it’s looking very bright. Bob Sedergreen’s first gig was in a rock and roll band at the Sandringham lifesaving club in 1950. 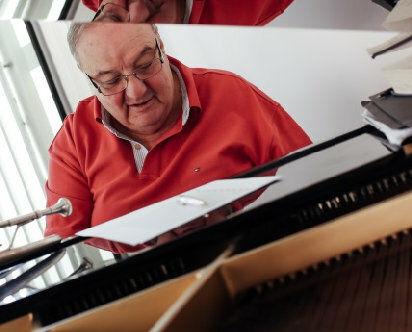 In the years that followed, the Kew resident shared the international stage with jazz greats to the tune of Dizzy Gillespie, Milt Jackson and Nat Adderley, gaining him a world of experience. Now he’s coming back to where it all began with a performance at the Stonnington Jazz Festival on Wednesday, May 21. The festival, now in its ninth year, brings together Australian artists, based here and overseas, to provide memorable performances for local jazz lovers. Sedergreen’s love of jazz comes from performing, where he has a chance to interact with the audience. “You play in smoky jazz clubs with like 90 people and you can see if they’re digging it, it’s you communicating with people and them communicating with you, so it’s a beautiful thing,” he said. This year he plans to bring something a bit different to the festival. “Well because it’s a jazz festival it’s a special occasion and people are looking for something different,” he said. One of these guests is The Stonnington Jazz Initiative, a community program Sedergreen helped to create that is open to kids who live or go to school in the Stonnington area. Sedergreen is a former lecturer at the Victorian College of the Arts and he tries to create an experience for the kids they wouldn’t receive in school. “In most schools they play in stage bands – that’s the only experience they get. It’s more swing and it doesn’t tell them about jazz,” he said. His support of local music festivals comes back to a love of performing live. “Back in the old days, people wanted to go out, not stay at home. Now people listen to music with earphones but it isn’t in real time so you can’t feel it, you can only hear it. But with live music you can feel it, see it, smell it – you become a part of the experience,” he said. Stonnington Jazz Festival closed on Sunday, May 25. "This month's blog post is about an incredible musician who has significantly contributed to Australian jazz for decades. 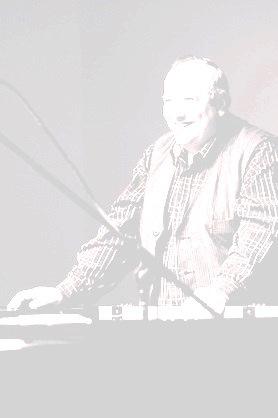 He is an Australian jazz legend - Bob Sedergreen. I was lucky enough to be taken under his wing over 8 years ago. This blog is about our experiences together, Bob's approach as a mentor and renowed Australian (and American) jazz musicians we have encountered along the way. "‘Mo Life’ is all about what influences me with my art and music. Sometimes (if I’m lucky) things I learn and am influenced by go much, much deeper than expected. A major influence on my life and music is Australian jazz legend, Bob Sedergreen, a generous teacher turned good friend. Any working jazz musician in Australia knows who he is and knows what he has done. His impact and influence in performance, composition and education for over half a century has secured his place as a national treasure." So what makes BLOW so special? Tertiary jazz education has dominated the jazz landscape in Australia since the 1980s. A probably unintended consequence has been that many jazz bands consist of players of the same age. In other words musicians who meet while undertaking their jazz studies stay together – they are the same age and have had the same education and same experiences. BLOW is the complete opposite. Vining and Sedergreen are first generation contemporary Australian jazz musicians. Their approach was formulated by the jazz of the 1950s/60s – Miles, Trane, Monk, Herbie, Tyner et al. In fact both musicians have had the opportunity to play with US greats such as Milt Jackson, Dizzy Gillespie and Nat Adderley in decades gone by. I personally count myself very fortunate that I have shared the bandstand with both plus the late Barry Buckley – bassist in the original Ted Vining Trio. On various occasions at Melbourne’s Bennett’s Lane and here in Perth I have played vibes and guitar with Bob Sedergreen and I can attest to the virtuosity and creativity of a jazz pianist who, I believe, has no equal in Australia. There is a certain quality that Ted and Bob bring to the bandstand that can only be gained by playing this music for a long time. 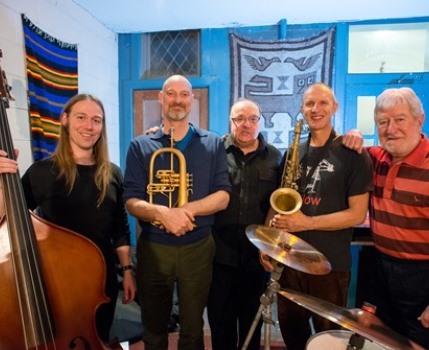 Peter Harper and Ian Dixon are from a younger generation – a generation that in Australian jazz has really valued travel and the experience that can be assimilated from residing in other parts of the world – notably Britain and Europe. They bring to the bandstand a slightly different viewpoint but inculcated to their playing is a deep respect for the legacy Bob and Ted have given to Australian jazz. Finally double bassist Gareth Hill is a younger generation again and his virtuosity and enthusiasm for the music certainly inspires the quintet. There is a certain texture to BLOW that, to me, is redolent of the music of Australian classical composer Peter Sculthorpe – both seem to capture an Australian-ness capturing the timelessness and immensity of the Australian landscape. Of course BLOW and Sculthorpe use entirely different devices to arrive at the same conclusion. The texture of flugelhorn and tenor is unique in world jazz with the flugelhorn providing at once an astringency and mellowness that helps convey a juxtaposition of tranquillity and flux that underscores the universality of the music. The audience at Ellington, not used to jazz of this honesty on a regular basis, were most appreciative of the performance. It is inevitable for jazz in Australia today that for music to be presented and toured of the style and calibre of BLOW, funding is essential. I sincerely hope that the funding body here understands it got more than it invested and that it continues to support applications for jazz of the high standard of BLOW. On the 29th November 2015, Bob was the CommBank's nominated "Australian of The Day"
Visit the website to read his profile.